The radar sensor VEGAPULS 67 is used everywhere where the levels of widely different bulk solids have to be continuously monitored in measuring ranges up to 15 m. The mechanical configuration of the instrument as well as its electronics are optimised for this application under normal process conditions. The radar instrument operates with high frequency sensors in the K band and stands out due to its excellent signal focusing. Silo fittings or buildup on the container wall thus have no influence on the high-precision measuring result. The instrument is equipped with a sensor especially adapted to the application according to the type of product and its repose behaviour. VEGAPULS 67 is, by the way, the “little brother” of VEGAPULS 68, the specialist for bulk solids measurement under extremely difficult process conditions. 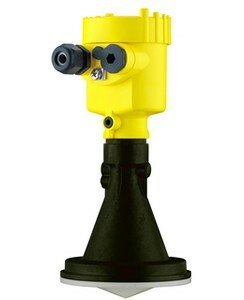 The radar level sensor VEGAPULS 67 is used for cost-effective level measurement of bulk solids. It continuously delivers reliable measurement data on the levels of bulk solids in silos up to 15 m high as well as in crushers or small containers. It is the economical solution for simple bulk solids measurement in the food industry as well as in plastics processing, in steelmaking and in the construction industry. VEGAPULS 67 is actually the “little brother” of VEGAPULS 68, the radar level sensor for bulk solids measurement under difficult process conditions.